A few weeks ago I interviewed a local landlord, Mr. Barrett. Our conversation completely shifted my view of Central Square. I have lived in Central for about 8 months. I rent a house with five other graduate students, all of us studying at MIT. As a City Planning student, I’ve learned that it takes a keen eye to notice the intricacies and subtleties of a physical place. I’ve been honing my ability to determine which attributes of a space make it desirable (or undesirable) for years now. But as Mr. Barrett was ranting about the old Quest Diagnostics building [“What is blood testing place doing in the middle of Central Square? Why is there general office space on Mass. Ave? Why? It’s just silly!”] I was having an epiphany: A person’s stake in a place is what nuances the way he sees it. 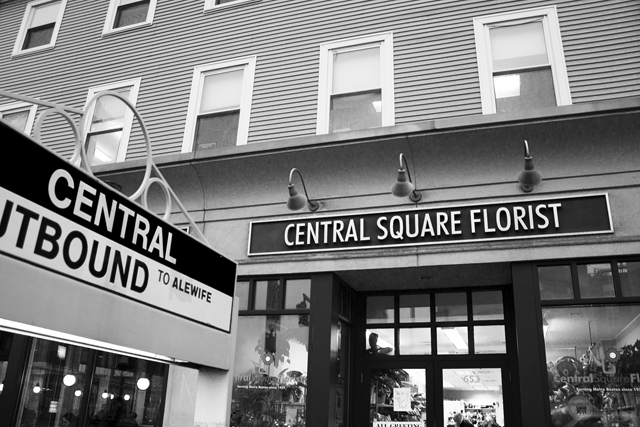 As a renter, my stake in Central Square is low and short-termed. Therefore, my evaluation of its strengths and weaknesses is largely limited to what I can see now. Mr. Barrett, on the other hand, owns several properties in the area and sees Central Square for its future. Mr. Barrett remembers looking, disgusted, at Cambridge from the Boston side of the Charles River and thinking, “No way!” But now he’s been in Central for twenty years. 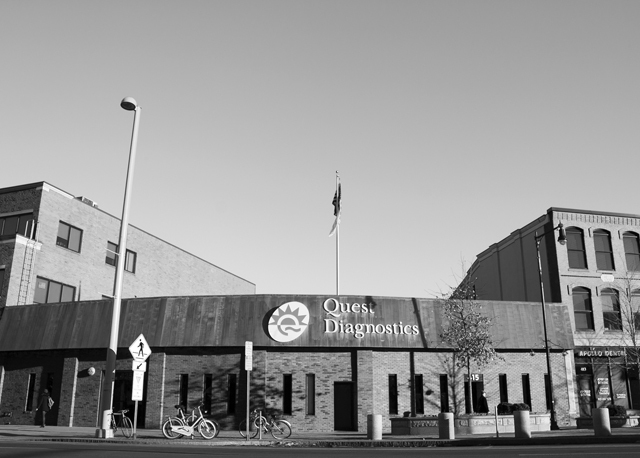 While I’ve barely noticed Quest Diagnostics, Mr. Barrett sees a temporary eyesore with huge potential, especially considering that its lease is ending in just a few months. Lawrence Barriner II is an MIT urban planning graduate student interested in the impacts urban agriculture can have on community development/revitalization. * Correction: The original post stated that Mr. Barrett was the author’s current landlord. In fact, Mr. Barrett is not the author’s landlord. Your landlord should be happy to hear that the Quest properties have been bought by Twining Properties who have a good track record in Kendall Sq for building housing. We, the Cambridge Planning Board, will be working on the Central Sq zoning in May and would be happy to hear any more comments and observations you may have. Applies to a residence where four or more unrelated people share a kitchen and/or a bath.